When United Auto Workers (UAW) Local 200 and Ford Motor Company of Canada, Limited agreed to binding arbitration, it spelled the end of the famous 99-day strike in 1945. It also began a new chapter in labour relations. The resulting “Rand Formula,” ensured union security by declaring that all workers must pay union dues since all workers benefit when unions negotiate contracts on their behalf. It also ensured that work would continue for the length of a collective agreement and made the union institutionally responsible for the workers. This principle governs unions to this day. 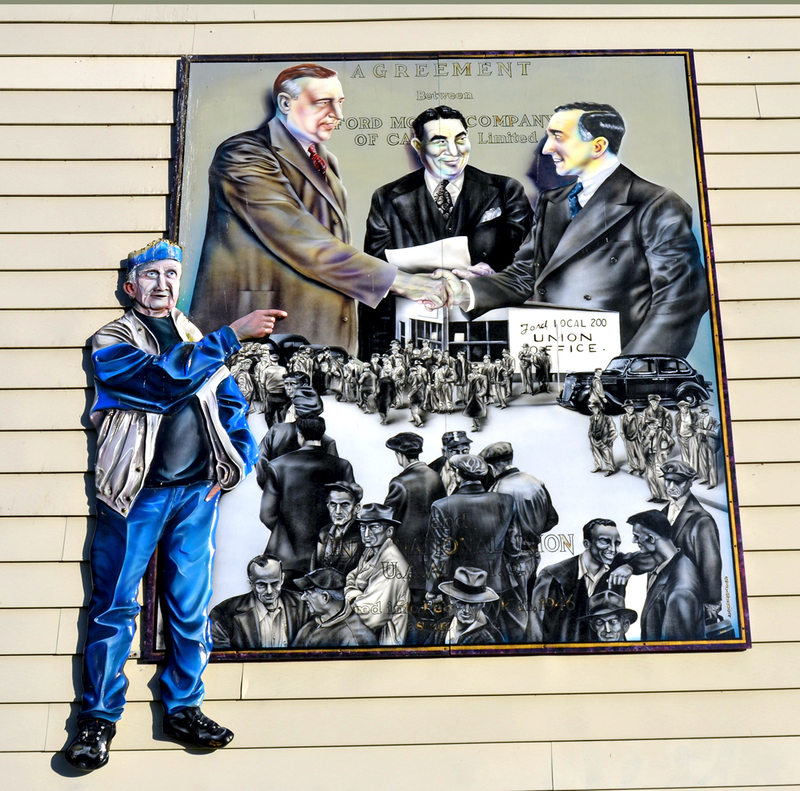 Depicted here is retired Ford foundry worker and union representative, Lyle Dotzert, recounting the historic handshake between Ford’s Wallace Clark (right) and the UAW’s George Burt. Roy England, president of Local 200 holds the signed contract, February 16, 1946.